ROANOKE, INDIANA A juicy medium-rare steak from a Japanese Wagyu cow that has been raised since birth on a farm less than 20 minutes away. A bed of golden roasted potatoes, pulled out of the ground the previous day, tossed in olive oil and freshly cut herbs. A salad of just-picked greens and seasonal vegetables. This plate is one of the many options on the menu at Joseph Decuis restaurant in Roanoke, Indiana, near Fort Wayne, named by Travel and Leisure magazine as the best eco-friendly restaurant in the state. “People today for the most part, particularly in the heartland of America, have lost the connection of where their food comes from,” said owner Pete Eshelman. Joseph Decuis is named after one of Eshelman’s ancestors. Eshelman his wife, Alice, their adult children and Eshelman’s brother Tim run the restaurant and the farm that produces 90 percent of the restaurant’s meat and produce. 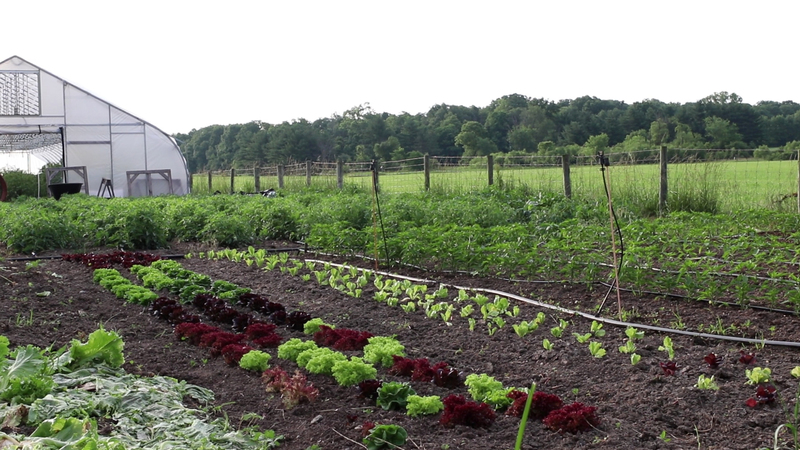 The farm grows more than 150 varieties of vegetables and herbs on one acre of land. Alice and Pete met as neighbors in New York City’s West Village, where she was an actress and he was with the Yankees. Pete worked with Yankees owner George Steinbrenner, who was one of the first people to insure guaranteed contracts for athletes. Pete took the lessons he learned from Steinbrenner and began a 30-year career in the sports insurance business, which brought the Eshelmans to Fort Wayne in 1986. They bought a 100-acre farm in Roanoke, which began as a hobby farm and a place for their kids to run and play. As their business became successful, they needed a place to entertain guests and decided to buy an old bank building on main street in Roanoke to use as a private dining facility for the company. Word spread throughout the community and the couple officially opened Joseph Decuis to the public in 2000. As the restaurant became successful, they decided to turn the farm into a food source for the restaurant. Balabuch said he’s been farming for 10 years, and the Eshelman’s farm was one of only a few in the area practicing sustainable agriculture. Leftover vegetables and other scraps from the restaurant are returned to the farm to feed the animals or are used in compost. Even the Wagyu bones are turned into charcoal to use for barbeques. The ashes from those barbeques are then used in the gardens. “It’s respect. It’s a living being that’s given its life to nourish people,” said Pete Eshelman. The cows also listen to classical music and old Yankees games during baseball season, which the Eshelmans say keeps the cows calm and their meat tender. 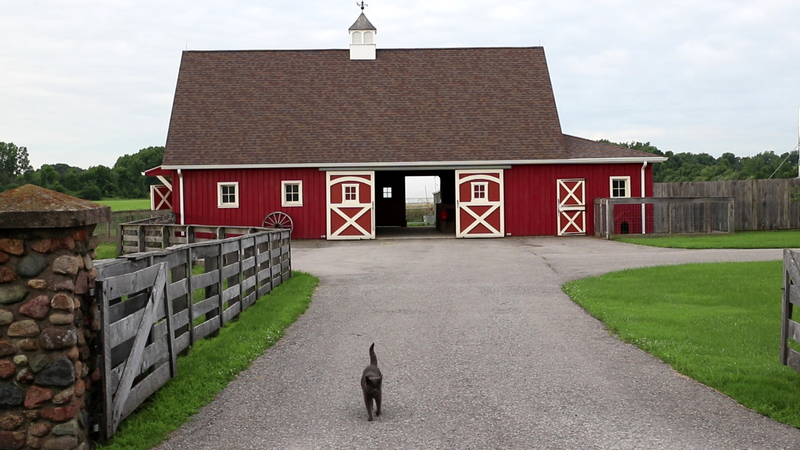 It’s important to the Eshelmans that the animals are raised as humanely as possible. 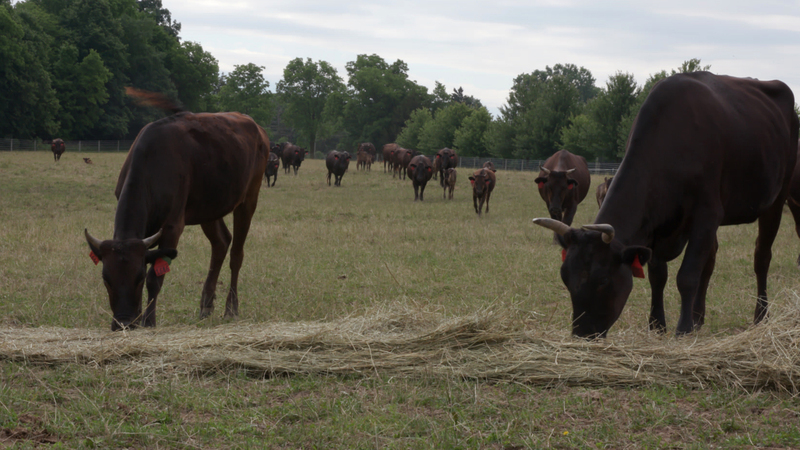 The Wagyu are fence-line weaned, which means cows and their calves can see each other through a fence. The method is less stressful for the calves and results in fewer complications in the weaning process. The cows also listen to classical music and old Yankees games during baseball season, which the Eshelmans say keeps the cows calm and their meat tender. Pete said the Eshelmans’ farming method has proved profitable. 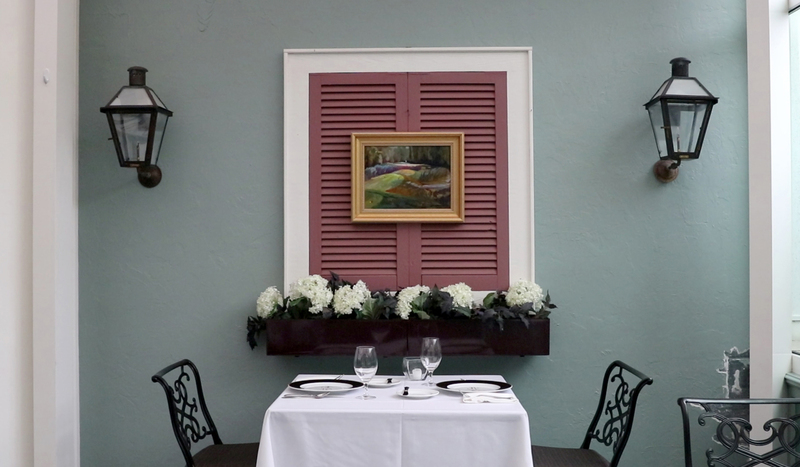 The restaurant sits along Main Street in Roanoke and has grown from the original site of the bank building, where the vault is now used a wine cellar, to encompass the building next door as well. The Eshelmans also have a more casual dining space and store a few doors down from the main restaurant called the Joseph Decuis Emporium. Inside the main restaurant, the kitchen is open, allowing diners to see immediately what is being made. Customers also can sit at a bar along one side of the kitchen, giving them a chance to speak with the chefs directly about the food. The menu changes with the seasons to showcase the best of what the farm has to offer. Wagyu beef and Mangalitsa pork – from prized, curly-haired Hungarian pigs -- are always on the menu, but there are fish and vegetarian options as well. When necessary, the restaurant supplements the farm’s products with ingredients from like-minded local farms. Executive chef Marcus Daniel likes to give each ingredient its chance to shine and uses every part of it so nothing goes to waste. Even the fat from the cows is used, making candles sold in the emporium. Balabuch and Daniel work closely together to plan the menu for the week and the next season, looking at what is coming into harvest and what they would like to try in the future. “The real question is, how do we connect people with the food we serve at the restaurant, and it’s a challenge, but the trick is our staff is super trained,” Pete said. The staff also spends time working on the farm to learn about vegetable production and animal husbandry. “The explanation of the menu really gets into where it was raised, how it was fed, and that makes a great exchange with servers and our chefs with the customers,” Pete said. 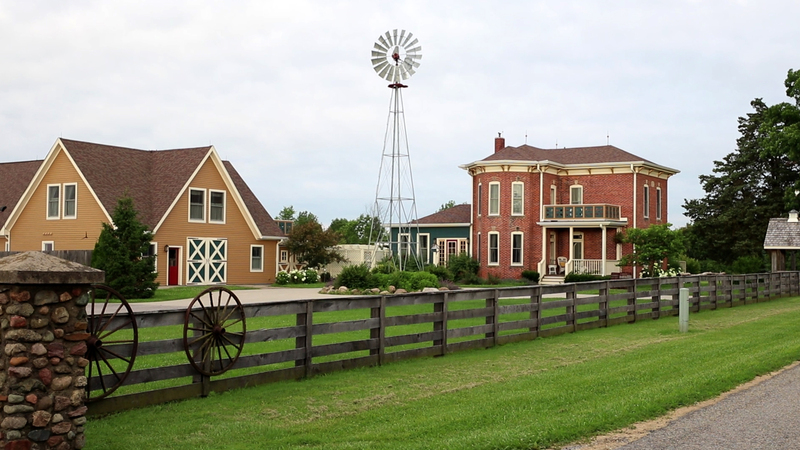 On Saturday nights, the Eshelmans also offer tours of the farm that end with dinner at the restaurant for the ultimate farm-to-fork experience. Community is important to the Eshelmans, and they are working with their neighbors to create a movement. 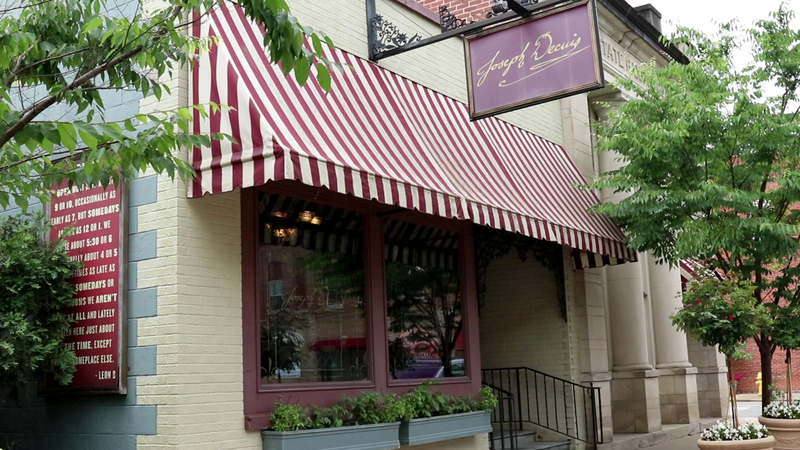 Joseph Decuis restaurant in Roanoke, Indiana, near Fort Wayne, named by Travel and Leisure magazine as the best eco-friendly restaurant in the state.